The Wave Doorstop is a unique twist on the humble wooden wedge that would usually be used to prop open a door. 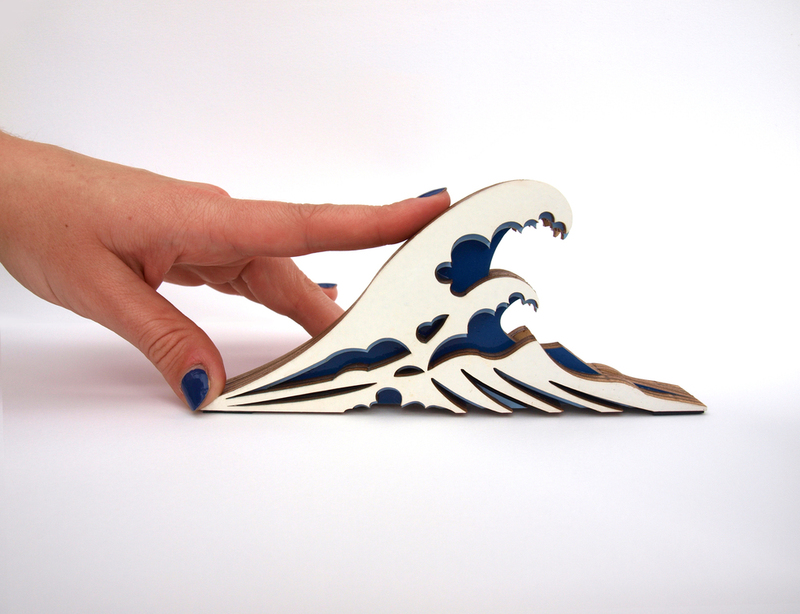 The design is both a functional doorstop and small wooden diorama that pays homage to the iconic image ‘the great wave off kanagawa‘ by the japanese artist Katsushika Hokusai. The Doorstop is constructed from six layers of high quality birch plywood. Each layer of the wave has been accurately cut and has a smooth durable paint finish in three contrasting colours that emulate Hokusai’s original design. The base of the product is mounted with non slip rubber pad making each wave capable of stoping any door in its wake. Sustainable and very strong high specification birch plywood.